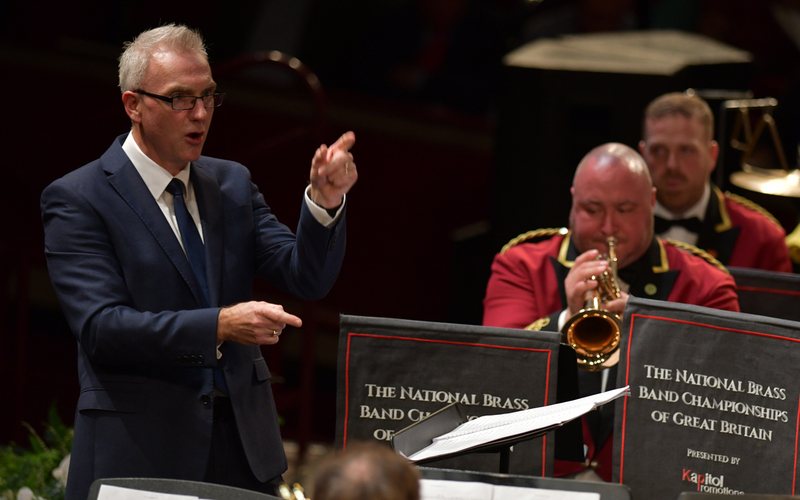 As the Band in Residence at the Royal Birmingham Conservatoire, Tredegar makes once of its regular visits to perform alongside the student RBC Brass Band - conducted by Ian Porthouse and the respected visiting academic Professor Stephen Allen from the USA. The programme features music that encompasses classic brass band original compositions such as ‘A Moorside Suite’ by Gustav Holst and Edward Gregson’s ‘Connotations’ played by the students, as well as ‘Sanctuary’ by Daniel Hall which was recently given its world premiere by Tredegar. The concert will be brought to a rousing climax with the combined forces playing ‘Baba Yaga’ and ‘The Great Gate of Kiev’ from Mussorgsky’s famous ‘Pictures at an Exhibition’. Meanwhile, Tredegar will showcase classic orchestral transcriptions for the brass band medium such as ‘Le Corsair’ and ‘The Marriage of Figaro’, whilst Chris Davies will perform the ‘Finale’ from the Strauss horn concerto.